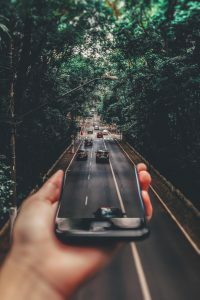 In a series of blogs I wrote last summer on distracted driving, I laid out some of the problems with the advancing technology we have readily available to us at our fingertips. The use of social media apps like Snapchat and Instagram while driving has led to many fatal or injurious car wrecks, and texting while driving, which is known as a “combination distraction” – one that averts our attention manually, visually, and cognitively – has caused thousands of deaths and injuries in accidents in the last few years. Last summer, one of my distracted driving blogs was about a bill that the Governor of Washington was signing into law banning hand-held usage of cellular devices. I wrote that Georgia had yet to sign such a bill into its own laws, but one year later, this subject matter needs an update. This legislative session, the Georgia Legislature worked to pass House Bill 673, which Georgia Governor Nathan Deal signed into law a few months ago and will become effective July 1, 2018. The bill is known as the “Hands-Free” or “Distracted Driving” law, which by name alone may sound self-explanatory but with further inspection can be a little confusing. Allow me to lay out the need-to-knows of Georgia’s newest cell-phone driving law. This bill, which has now become an Act, amends Title 40 “Motor Vehicles and Traffic” of the Official Code of Georgia Annotated. The main change in the Code will be located in O.C.G.A. §40-6-241, which explains a driver’s responsibility to exercise due care, specifically regarding usage of a wireless telecommunications device. The first parts of the bill change the penalties within the license point system. First violation of Code Section 40-6-241 will result in 1 point added to the license; second violation results in 2 points added; and third results in 3 points. There are other – and potentially worse – penalties a driver could face if convicted of violating the Code section.